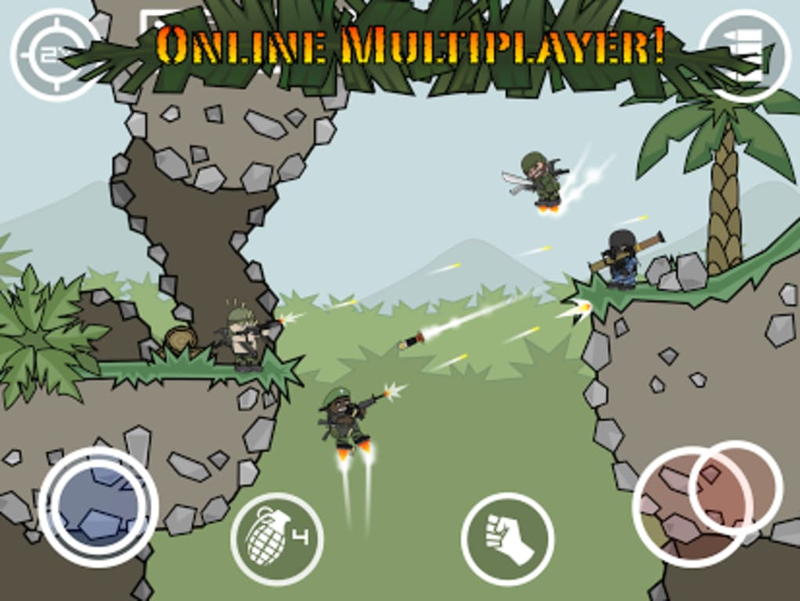 Doodle Army 2: Mini Militia is a free multiplayer focused shooter game. 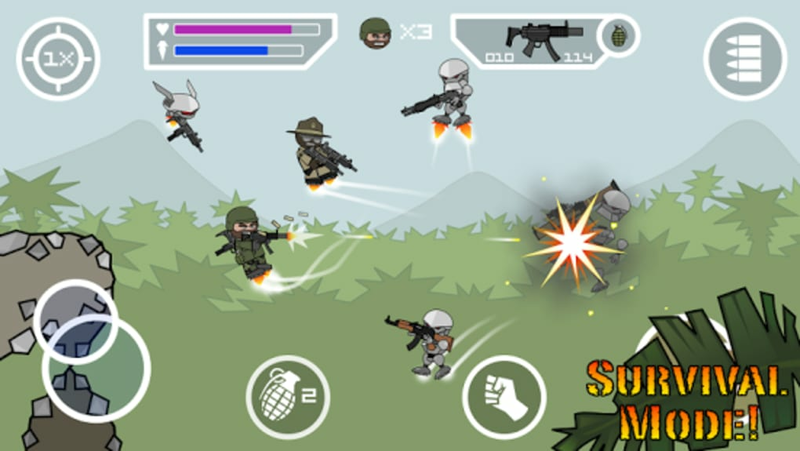 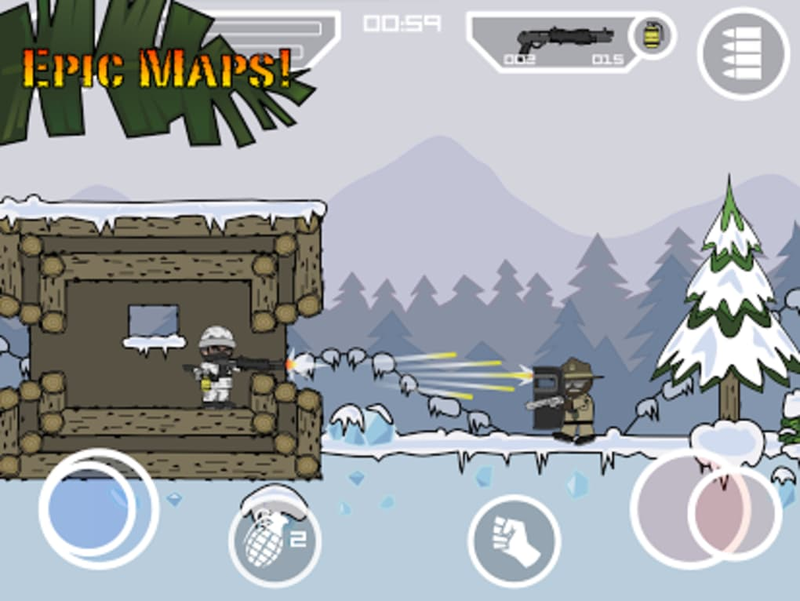 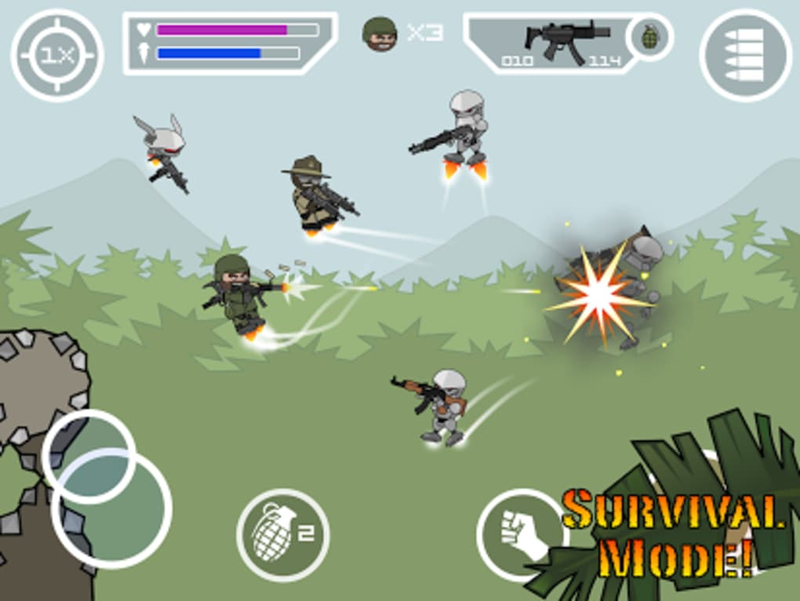 The app features 6 player matches, survival and co-op modes with a variety of weapons and maps. Designed around the stick man shooter Doodle Army, Doodle Army 2: Mini Militia shares a simplicity of visuals and style with its predecessor while offering an overall improvement. 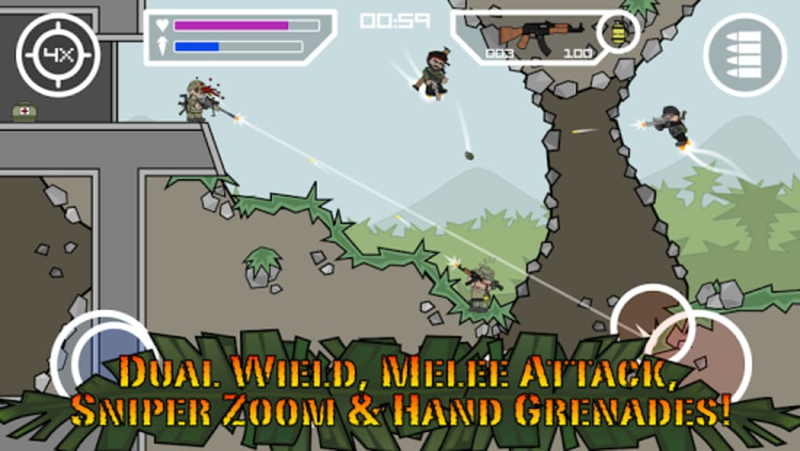 The base gameplay consists of moving in full 2D space with jet packs, using the environment and weapons to defeat other players. Thanks to a decent control system, this basic combat style works well in an online environment. 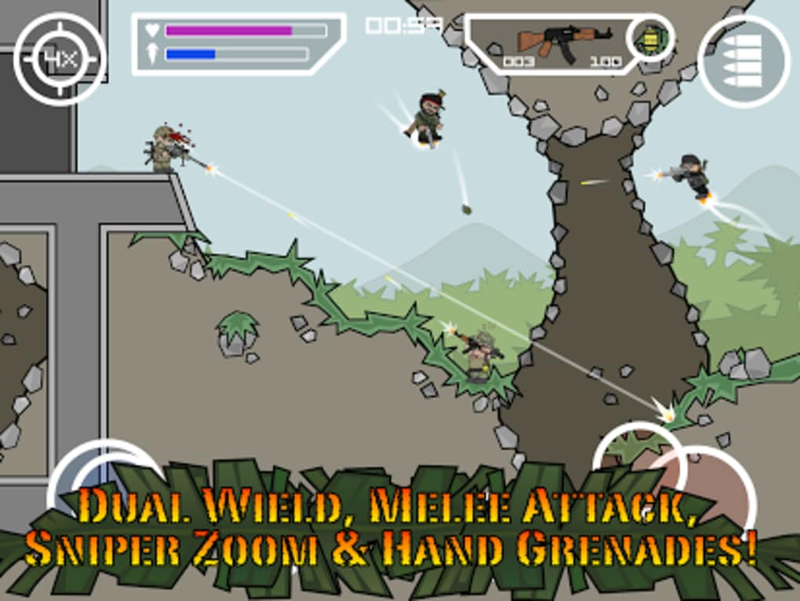 Games are fun and frantic, providing quick doses of gun fighting that can be jumped into instantly. 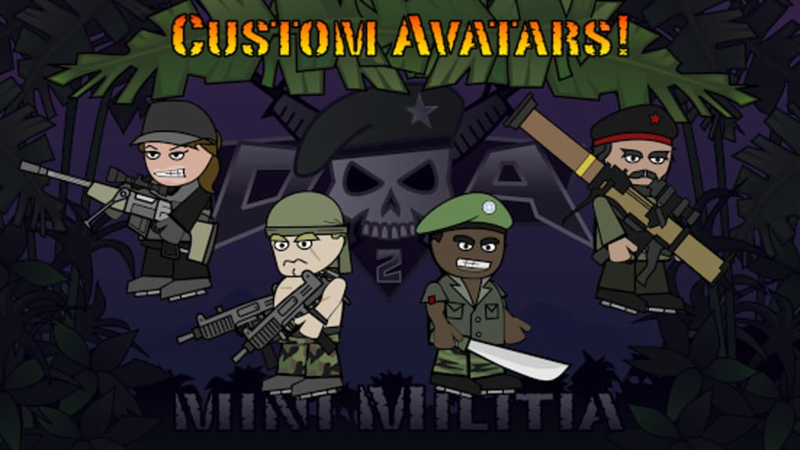 While Doodle Army 2: Mini Militia does offer DLC to unlock certain weapons and abilities, it isn't necessary to experience the more casual elements of the game. 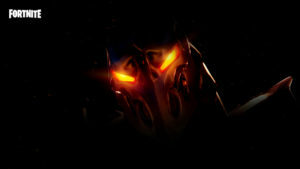 This isn't a title to spend hours playing but a game to drop into every now and then for a quick match. 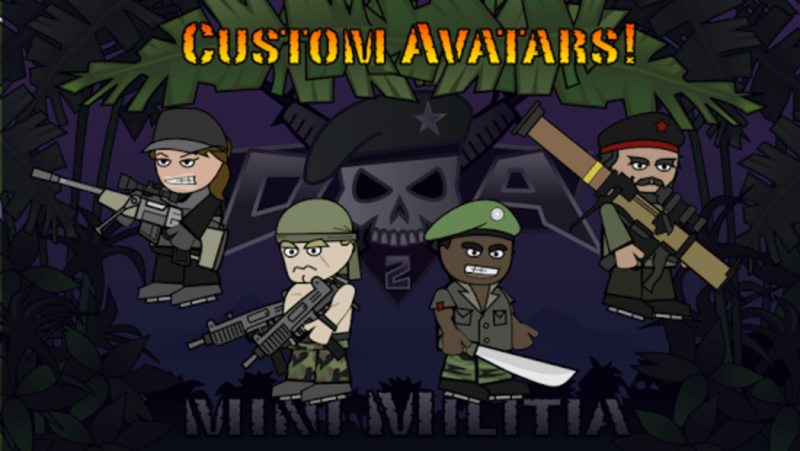 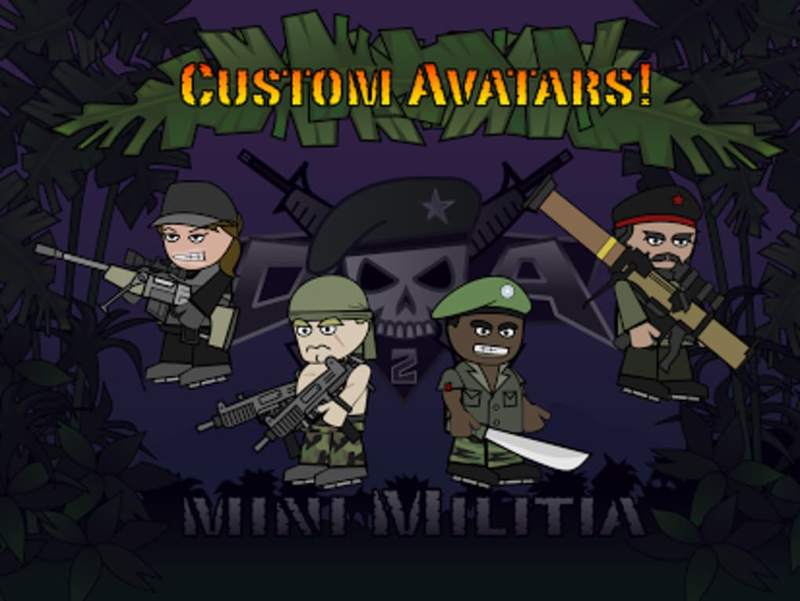 Doodle Army 2: Mini Militia is a simple shooter game with a decent amount of action. 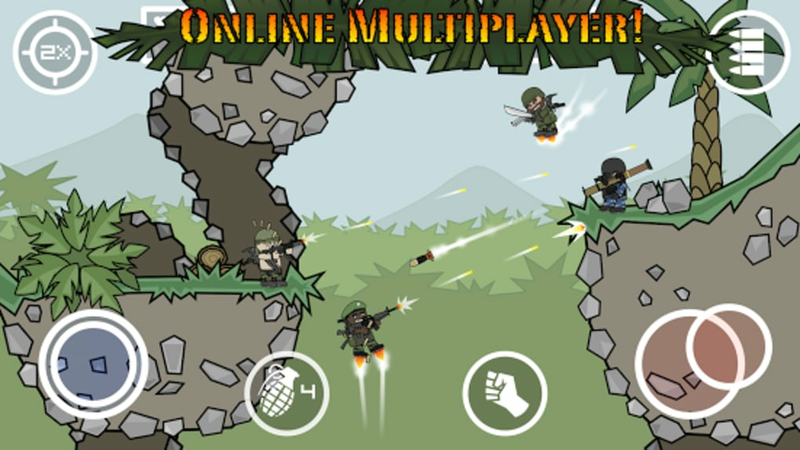 While the game is limited in variety and is more designed around short gaming sessions, it provides a decent amount of fun primarily thanks to its tight control scheme. 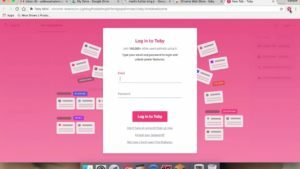 A good download for occasional play.